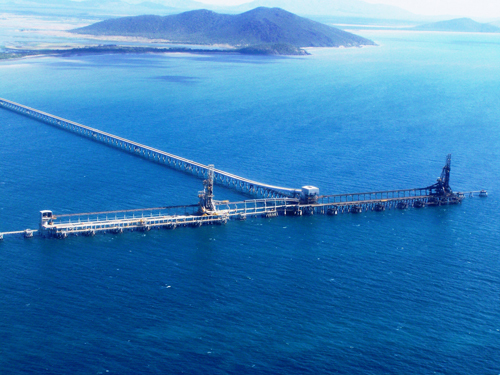 On 10 December 2013 Federal Environment Minister Greg Hunt approved an application by North Queensland Bulk Ports (NQBP) to expand its coal terminal at Abbot Point. The terminal expansion, the dredging itself and a disposal site were approved by the Minister. While the dredging activity falls inside port limits and the Great Barrier Reef World Heritage Area, it falls outside of the Marine Park. The Great Barrier Reef Marine Park Authority’s (GBRMPA) role has been to consider a permit application from NQBP to dispose of the dredge material in the Marine Park under both the Great Barrier Reef Marine Park Act 1975 and the Environment Protection Act (Sea Dumping) 1981. On 31 January 2014, the agency approved the application, subject to 47 strict environmental conditions. The basis for GBRMPA’s decision is outlined through the statement of reasons prepared under the GBRMP Act and the Sea Dumping Act. 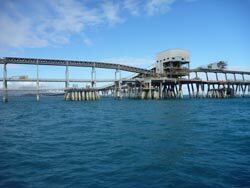 North Queensland Bulk Ports (NQBP) is the port authority that manages the Port of Abbot Point, located approximately 25 kilometres north of Bowen on the central Queensland coast. The port has been in operation since 1984 and is primarily used for transporting coal. As part of the development of Terminal 0, Terminal 2 and Terminal 3, NQBP will dredge approximately three million cubic metres from the seabed to deepen an area around six new ship berths. The area to be dredged, about three kilometres offshore of Abbot Point, is in the port exclusion area, and not within the Marine Park. 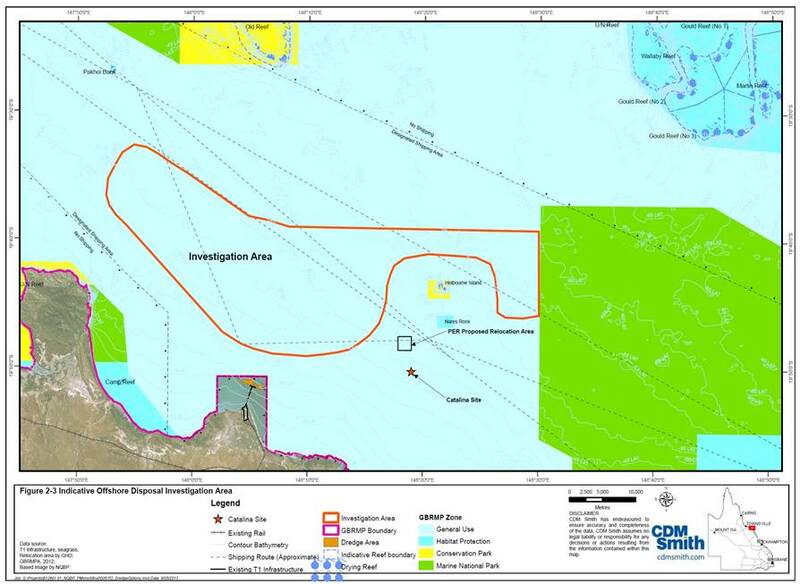 The below map shows the relocation area for the dredge material (marked as PER on the map). It also shows the investigation area where NQBP is assessing the possibility of an alternative site.